Bespoke Rings are most certainly becoming more and more popular. Gone are the days where we simply just bought a ring off the shelf. Now you can have a bespoke ring created to your exact specifications unique to you. We design a large amount of Wedding Rings, Engagement, Shaped Rings and Eternity Rings. Including making many other types of jewellery. We often get customers asking for a piece of jewellery to be made. A year or two later, we often find them coming back for another piece of jewellery to be made to match. Our team of qualified jewellers work with the finest precious metals, diamonds and gemstones. 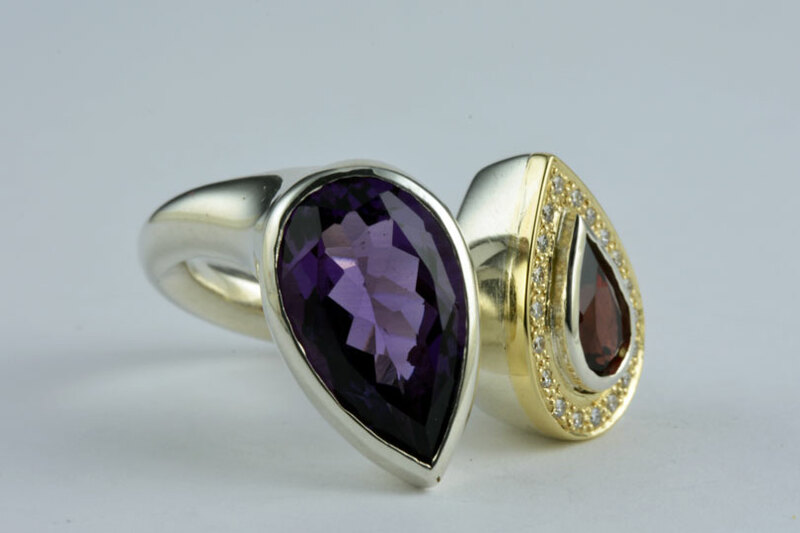 You will be very surprised when it comes to the cost of bespoke rings and other bespoke jewellery. We design and create the ring’s, therefore we are cutting out the middleman. By buying direct, you can have beautiful pieces of jewellery designed for a lot less than you think. We can create his and her matching sets for Wedding Rings. To make them extra special we can engrave a special message on them for you, use your imagination for something really special. When it comes to those special moments in life, such as a birth, anniversary or special birthday. Why not have a bespoke ring or piece of jewellery made to remember that milestone by? Our jewellers offer both expert advice and give a personal service. All our bespoke rings and jewellery are manufactured at our jewellery shop in Gosforth, Newcastle. Saving you money without compromising on quality and style.